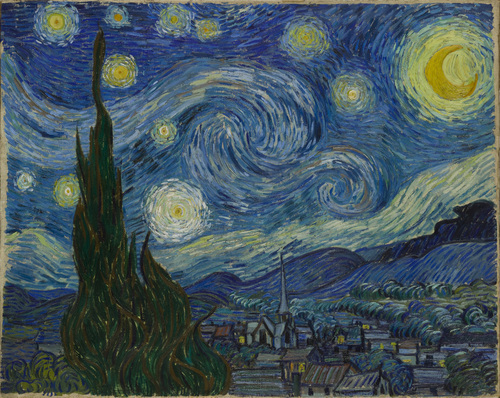 What is it about Vincent Van Gogh’s painting “The Starry Night” that touches so many of our human hearts? At the end of December I was wandering through the Museum of Modern Art in New York City when I happened upon his masterpiece. First I noticed the scrum of people who were jockeying for position in front of it. Then I noticed the guard who had the extraordinary responsibility of making sure that none of the members of the scrum got close enough to damage the painting. And then I saw it…The Starry Night. And tears immediately appeared in my eyes. Even with a crowd of people taking photos of it, taking photos of themselves in front of it, and tweeting and texting their friends about it, “The Starry Night” was serenely, astoundingly beautiful. I don’t know if I cried partly because I, too, love to gaze at the night sky — amazed at the beauty of the stars and the vastness of the universe — and Van Gogh captures it so well in this painting? 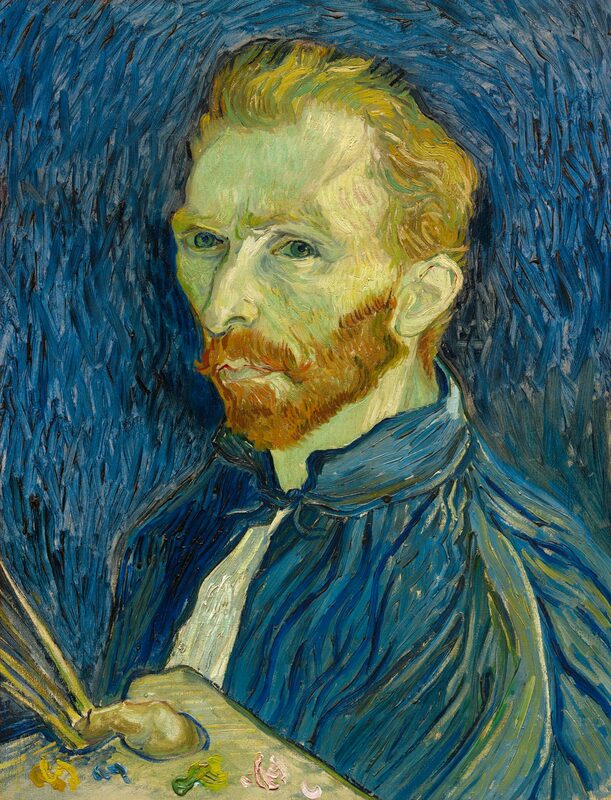 Or if I was reminded of Don McLean’s song “Vincent (Starry, Starry Night),” which speaks so poignantly about how little respect or success Van Gogh earned in his lifetime — as well as his eventual suicide? The juxtaposition of the clamoring crowd of art-lovers in the 21st century and Van Gogh’s downwardly mobile existence in the 19th century was odd. And yet we all still share the same huge questions — about how our finite lives relate to the unimaginably vast realms of space, about what happens to us when our bodies die, about how our wonderful blue-green planet fits into the swirling patterns of the universe, about time…and space…and love…and loss. Special thanks to pianist Doug Hammer, at whose Dream World studio we recorded the version of “Vincent (Starry, Starry Night)” you can hear by clicking at the top of this blog entry.